I have been using the Hive smart products for quite a few months and have spoken about it here on the blog as well. 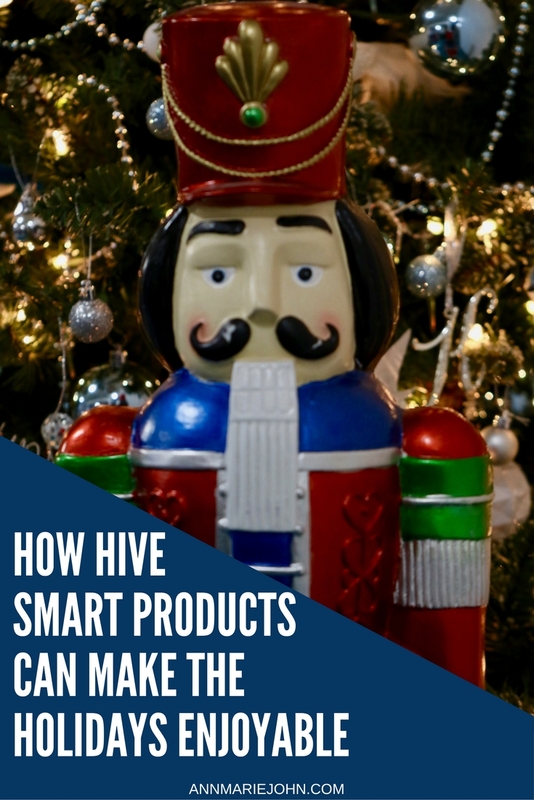 While I enjoyed my home being a little "smarter", I never realized all that Hive smart products could really do until this holiday. You may remember about how it made my Halloween even more spooky, but it truly has made our holidays even more enjoyable. Read on to find out how. This is a sponsored conversation written by me on behalf of Hive by Centrica Connected Home. The opinions and text are all mine. Although we've lived in our "new" home for the past three years, we have never really celebrated the holidays at home. The holidays are usually spent traveling visiting friends and family that we haven't seen during the year. This year however, we've decided to celebrate at home and create traditions and memories to last us a lifetime. 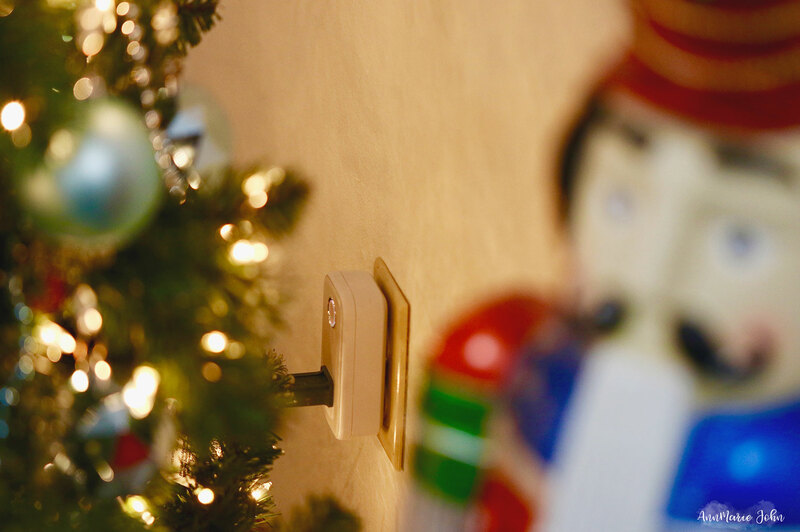 When we lived in our old home, we would decorate yearly, but the one thing I absolutely hated was going outdoors to turn on and off the switches at dusk or dawn, especially when the temperature wasn't ideal. Thanks to Hive, I no longer have that worry. 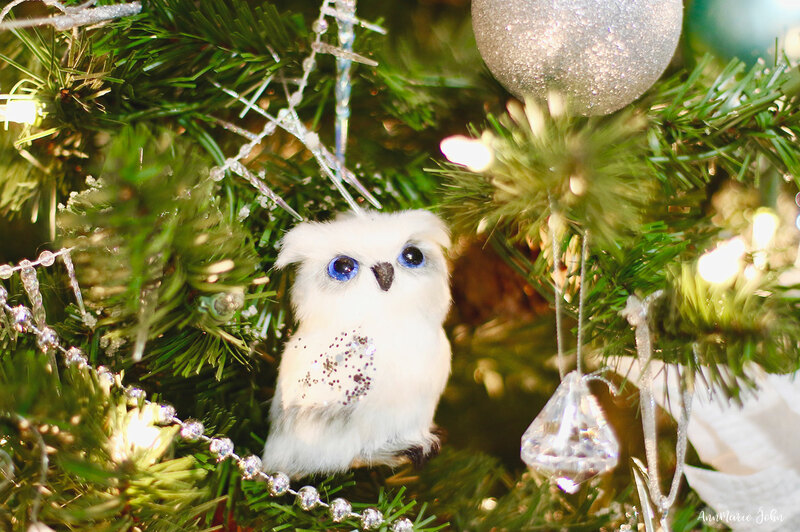 Here are four ways Hive can make your holidays even more enjoyable. There's nothing worse than coming home to a house just filled with darkness after a day out shopping for gifts. You can either set up a schedule for your lights to turn on automatically by using the Hive Active Plug or by opening up your front door using the Hive Door Sensor. What about when you're of out the house? Did you remember to turn off your lights? Now you can do so no matter where you are with your smartphone. It's also a great way to reduce your energy bills during the holidays. I don't always remember to turn my decorations on, but now there's no need for me to even think about it. I simply connect my lighted decorations, including my Christmas tree to my Hive Active Plug and set up a schedule. This is one of the things I truly love about Hive, being able to schedule things takes the guesswork of knowing whether or not I've turned on or off my lights for the holidays. Now I have a lighted front yard, just like the neighbors, but unlike the neighbors, everything is done automatically for me. This is by far my most used feature. During the summer I would cool my home before I walked in the door, but now that the temperature has dropped, I can now heat up my home before I enter. I hate a cold home. I grew up on a tropical island so I love the heat, and I love having a warm home. I generally do all this and more no matter where I am, from my smartphone. If I had plans on traveling this holiday I could even set a holiday vacation schedule. My thermostat would essentially go to sleep until I returned, then I would be welcomed home with my perfect temperature. Do you remember the Hive Active Light Color-changing bulbs that I set up for a spooky Halloween effect? Well they've come in handy for the holidays. With the Hive Active Light Color-changing bulbs, you can choose from 16 million colors to find that perfect holiday hue. I currently have my lights set on green, but I sometimes change them to red, after all they're the colors of the holiday. So you might be wondering, what exactly is Hive? Hive is a leading smart home brand in the UK that recently launched in North America, Ireland and Italy. With Hive smart products, you can adjust your heating and air conditioning, lighting and even your appliances from almost anywhere. Hive products make your everyday life just a little easier by giving you more time to spend doing things you love with the people you care about. Hive makes your everyday life just a little easier by giving you more time to spend doing things you love with the people you care about. Hive smart products are simple to use and come in packs that fit your family's needs and budget, and they're recently introduced a new flexible payment option giving you the ability to purchase their Starter, Heating & Cooling and Welcome Home packs with just one payment or spread the same cost over 24 months. Either way, you get the same great Hive features, warranties and customer service. For more information, you can learn more at hivehome.com. Here's a bonus for all AnnMarie John readers, you will get 10% off any Hive Pack with discount code ANNMARIEHOLIDAY10. So go ahead, make your home a little smarter and give Hive a try today! This is a sponsored conversation written by me on behalf of Hive Home. The opinions and text are all mine. Ugh! I hate when I go out for the day and forget to turn up the heat for when I get home. I hate coming home to a cold house, so this would solve all my problems. This setup would save so much hassle! I can't tell you how many times I've forgotten to turn off the lights or adjust the thermostat. I have been bugging my husband to get smart thermostats, as we have a different system on each floor and I always forget to turn one of them down. I'll have to check out Hive! I cannot get enough of Christmas products so thanks for sharing. When I have a home I would like to have smart products. Hive smart products sound pretty cool! I think I'd like having the quick and easy control over things like lights and heating. I would love to be able to schedule my lights. That is a super handy feature. This sounds like a company I will grow to love. I'm already falling in love with them!! Sounds like a dream! I'd love to be able to control my home properly and efficiently and this is definitely the way to do it! This sounds so helpful! I love that I can schedule my lights. I always hate coming home to my lights turned off and a dark Christmas tree. This would be a fantastic addition to our household. I would love to give this a try. It would be amazing to control the lights and heating all together in one spot. Our only heat adjuster is on the first floor. We always forget to turn down the heat when we go to bed. I'd love to be able to control the heat. Just for the heat option alone, I would love to try this out for our home. Seriously I hate being cold and coming home to a cold home to boot. So, this sounds awesome to me!!! I saw some of these Hive tech products a while back and fell in love. The smart lights are really cool. I just love the thoughts of having our holiday lights on a timer, as well as our heat. Hive sounds like a great brand. I have heard of this and very intrigued by it. Thanks for sharing more info. This is a great option for any home. I am happy to hear that in the year 2017 these technological advances are possible. This is definitely a problem solver! Easy to set up, and you can check it from your phone. This sounds really cool! I could use this in my house and I won't be bothered of things in our house even if we are away for a few days during the holidays! Thanks so much for sharing this! I have always wanted a smart home! It would bring so much convenience in managing a household if we had technology like this available for us. I will look into Hive. Thanks for the review. I wanna be able to keep track of the house when we go on vacation and it sounds like you found the perfect solution for that! I really like the idea of being able to control everything from an app. So easy! Now that's something that I'd love to have at home, it's easy and efficient and it helps me keep track of our energy as well. I think it's perfect for the holidays, especially since you can also control the lights and all that from your phone! I love that you can turn off your lights from an app on your phone if you forgot. I think this is practical and smart, but it's also got a fun factor to it too! We have something similar. I just love being able to use the app and schedule our lights. It's so convenient! I so need to check out Hive! I am always forgetting to turn on and off our holiday lights. This is a great tool for the holiday time! I really want to check this out. We currently have a timer for Christmas lights so the tree is on when we wake up in the mornings, and goes off at bedtime. 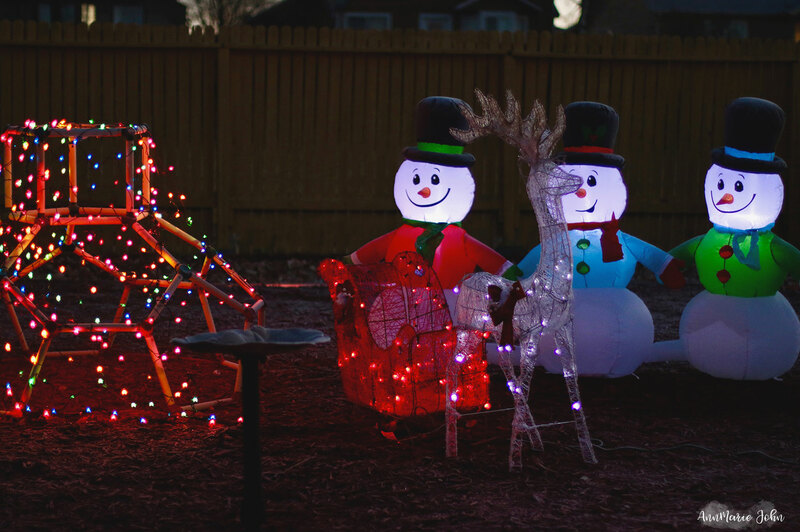 Our outdoor Christmas lights are also on a timer. If I could get other lights in my home do that when I'm away, that would be awesome. I will definitely be looking in to this. I had such a hard time setting and syncing out our Holiday lights this year. It was stressful and not something I want to do again. Thanks for the great information! I'm so behind, I need to make my home more of a smart home. great ideas! I love Hive products! We have a different brand but are looking to change. I think Hive is our next purchase. How cool! I love the idea of scheduling the lights with this! We have a similar thing for our AC/heater, but it would be nice to have something that does more! I had heard of Hive previously but have never actually checked it before. I know how stressful the Christmas holidays can be so I am all too happy for how Hive can make the holidays a little easier! Hive sounds like a really great holiday and year round tool. It's nice to come home to a well lit house or be able to schedule when your lights go on and off. We did away with Christmas lights this year just to be more conscientious about electricity and also the fires that have occurred in California. But thanks for your informative post! It's amazing what we can do now with smart products! This sounds like something my house could use, I need to look into it! 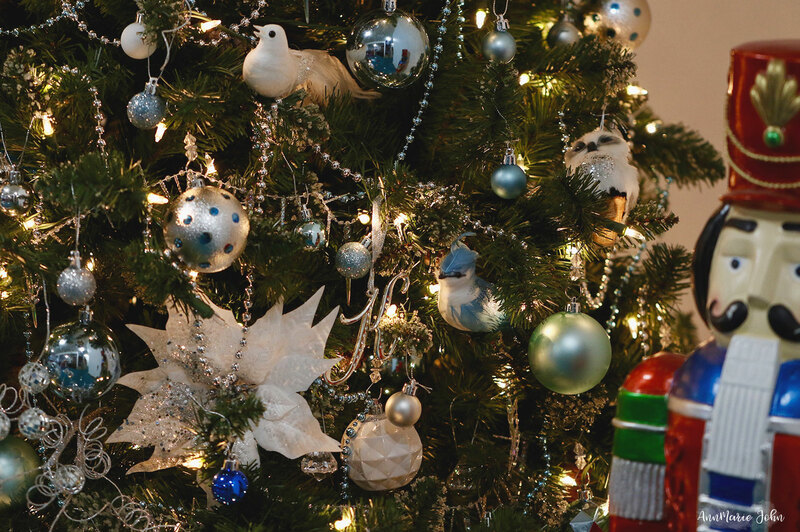 These products seem like game changers when it comes to holiday decorating. I am sure I could find a bunch of things to use them for the rest of the year though. I have hearing a lot about Hive lately. I'd love to purchase their products in the future! Everything noted here is awesome! I'd love to be able to change the colors of our lights for the holidays. This would make an excellent holiday gift for my husband! That's actually really cool. Cassidy wants us to go fully smart home. Not in time for the holidays but we'd love the idea of turning on lights and even our pellet stove from on the go. D and I have been talking about buying a system like this- I haven't decide which one yet, but after reading your thoughts I will have to do some more research. Thanks!